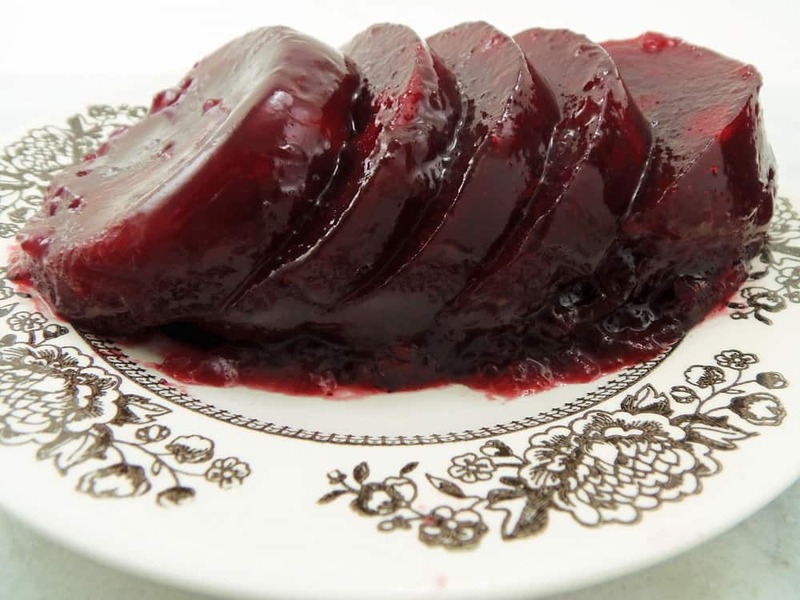 Like to cook Thanksgiving dinner from scratch, but have some family members who insist on having that jellied cranberry sauce that comes out looking like the can? Surprise them with this homemade version. It only takes three ingredients and about 15 minutes to make. Bring the sugar and water to a boil over high heat. Add the cranberries, and bring the pot back to a boil. 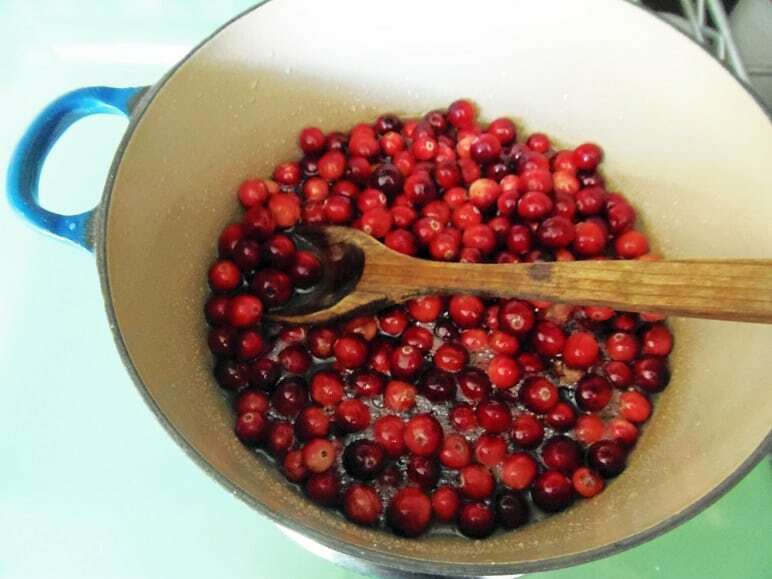 Then, reduce the heat, and keep the cranberries at a gentle boil for 10 minutes, stirring occasionally. The berries will pop as they cook. Remove the pot from the stove. 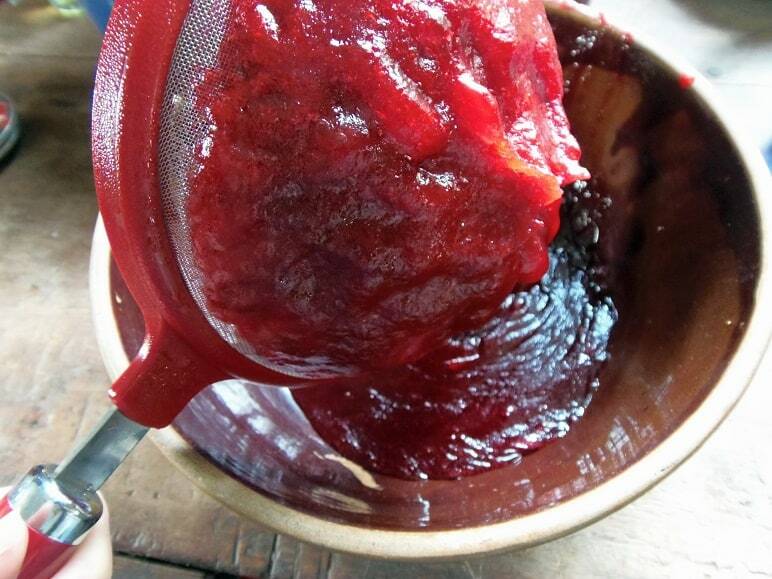 Then, place a fine-mesh sieve over a large bowl, and strain the cranberry sauce. 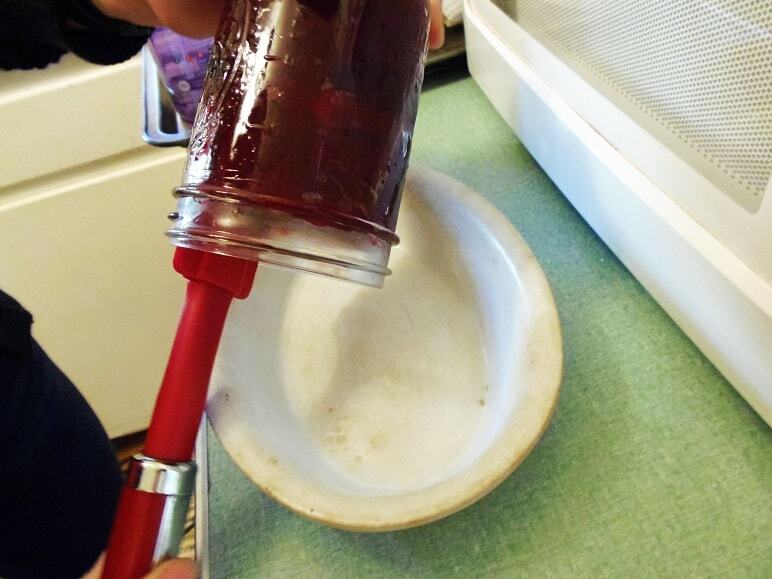 I just use a wooden spoon to push the sauce through the sieve. Keep going until only the skins and seeds remain in the sieve. This will give you a good arm workout. You can also use a food mill to strain your sauce, if you have one. 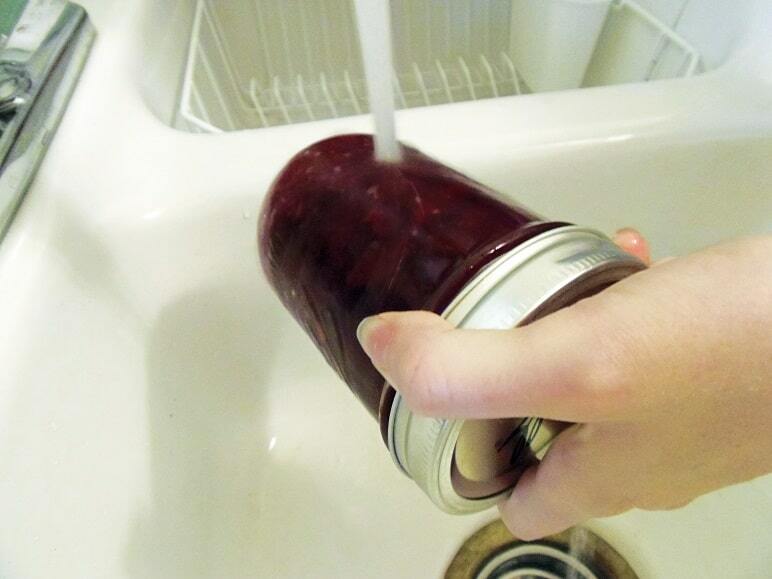 Then, transfer your strained cranberry sauce to a couple pint canning jars. 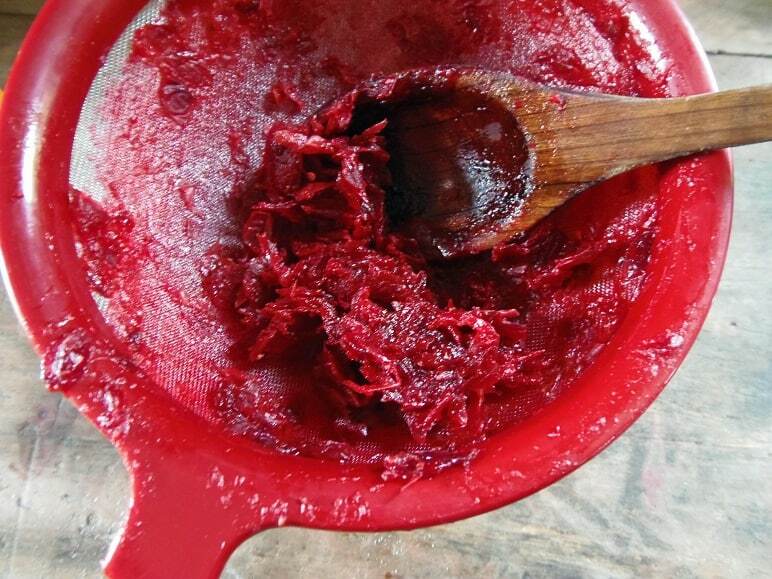 Be sure to get all the cranberry sauce that’s hanging on the back of the sieve. 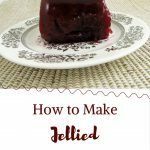 You should end up with around two pints of jellied cranberry sauce (it may be a little more or less). 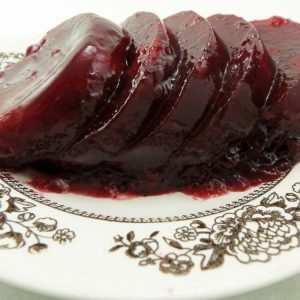 If you want to use a mold to give your cranberry sauce a fun shape, you can definitely do that, too. 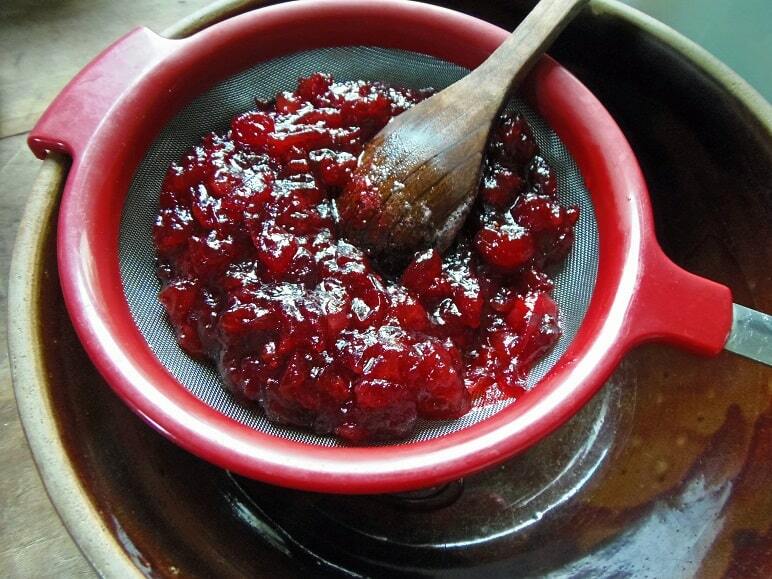 Allow your cranberry sauce to cool a bit. Then, move it to the fridge. It’ll firm up as it cools. 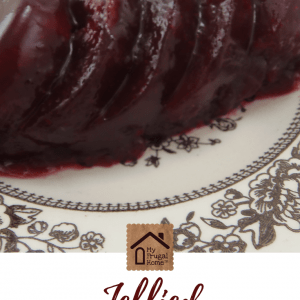 Make your jellied cranberry sauce the same day you plan to serve it, or several days ahead. As long as it has a few hours to chill before you serve it, it’ll be great. Just run the jar under some hot water. Then, carefully insert a spatula to help ease it out and onto a serving plate. And viola! 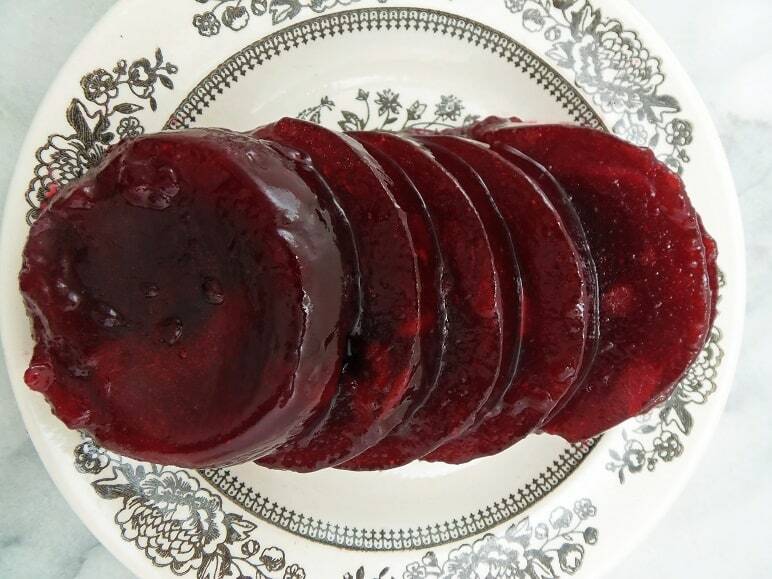 Homemade jellied cranberry sauce with the traditional can shape and jiggle. You don’t even have to tell your family you switched them off the store-bought stuff, if you don’t want to. If you want to get fancy, you can use orange juice or apple cider in place of the water. 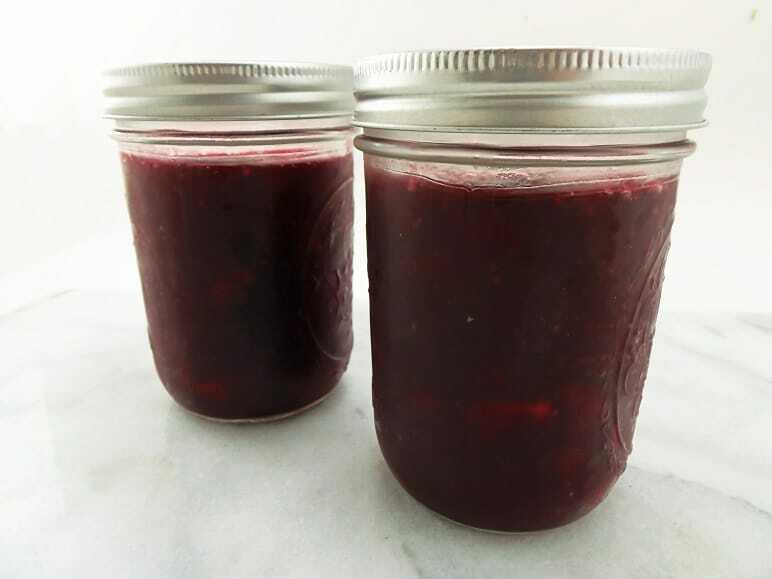 Replace canned cranberry sauce with this homemade jellied cranberry sauce. It only takes 15 minutes to make. Add the cranberries, and return to a boil. 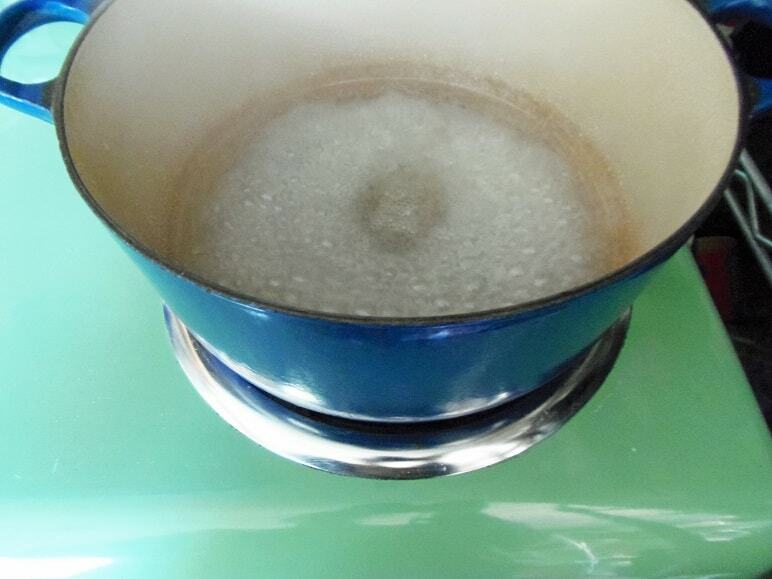 Then, reduce the heat, and keep the pot at a low boil for 10 minutes, stirring occasionally. The berries will pop and the sauce will start to thicken as it cooks. Place a fine-mesh sieve over a large bowl, and use a spoon to push the sauce through the sieve. This will remove the skins and seeds. 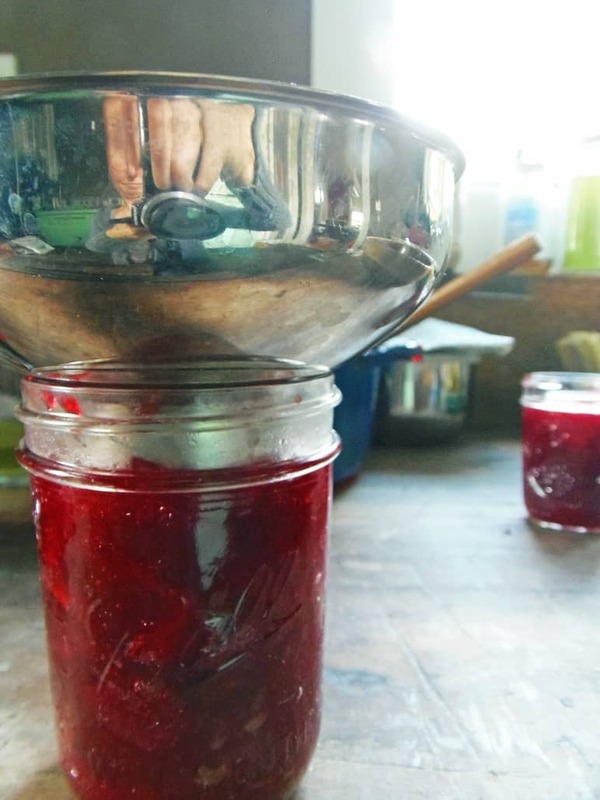 Transfer your strained sauce to a couple pint canning jars, or whatever mold you’re using. Then, chill until serving. 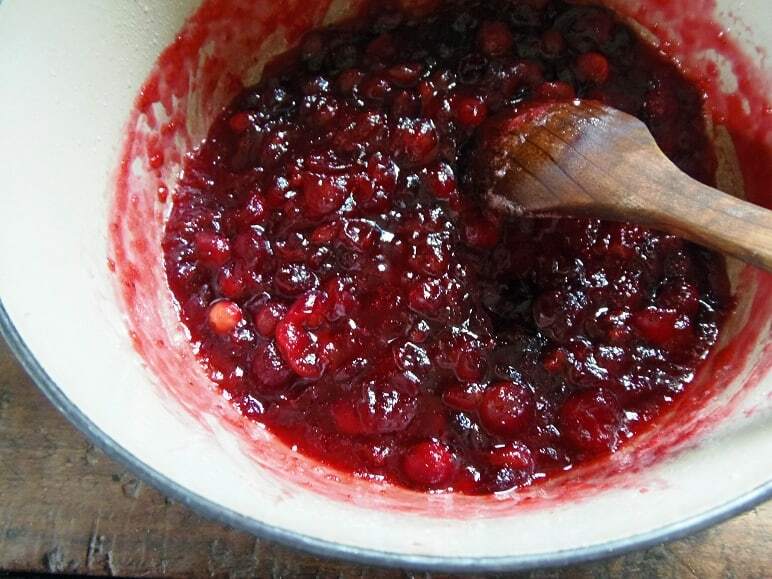 To unmold the cranberry sauce, just run the jars under hot water. Then, gently guide the sauce out with a spatula. You can also use orange juice or apple cider in place of the water called for. This recipe can be made a few hours before serving, or several days ahead. ← How Much Should I Make for Thanksgiving Dinner? Hi Erin! What did you do with all the leftover cranberry pulp? Hey, Kerry. I just had the skins and seeds left. I suppose they could go in muffins, since skins are typically fully of vitamins. I didn’t do anything with them this time. Have any good ideas? Why remove them at all? My family prefers whole cranberry sauce and it is a good source of fibre. I grew up with Jelly but the whole is much better for my family. I prefer to make my own so I can reduce the sugar only 2/3 of a cup of sugar per package. 18% of your daily fibre requirements. I prefer whole berry cranberry sauce, too. But I usually make both to accommodate the jellied cranberry sauce lovers.